and you will hold me close as I cry over stresses from the educational world and beyond. You always support my crazy shenanigans and cheer me on no matter what. Thank you for being the geek of my dreams. I look forward to growing older with you by my side and making more memories as a family and duo. The last few days have been a whirlwind of activity. The weekend was spent getting things done and ready for Monday. 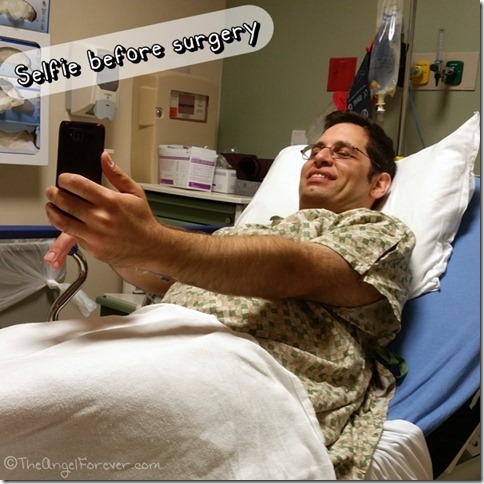 Monday was the day that TechyDad would be having surgery. This is surgery that he should have had done before we met, but the day before they said it would not be covered. After suffering for many years, I got TechyDad to head to the ENT to follow up on his breathing troubles. When he saw the doctor she immediately ordered a CAT scan (you can see the pictures on the post here). The scan of his nose told a story. It was a story of one nostril being blocked. His deviated septum was caused by a concha bullosa. Basically another sinus cavity tried to form in a turbinate of his nose. So on Monday, that would be removed, his septum fixed, and turbinates that had not been fixed in the past done. Monday morning we rushed to get the boys ready for their days. JSL was heading off to a friend to go to camp and hang out with them afterward. NHL spent the day with Mimi. TechyDad had to be at the hospital at 8:10 for his 10:10 surgery. To make a long story short, the surgery started late, which added to anxiety. As you can see above, TechyDad was using his phone to take selfies and entertain himself. Almost an hour late, the ENT came into meet with us and go over things. I went out into the waiting area and tried to read. I was too tired to eat and was afraid to miss the surgeon after an hour and a half had gone by. Two hours after TechyDad was wheeled into the OR, the surgeon came to see me. Everything had gone well. The concha bullosa was easier to remove than expected. He was upset when they woke him up, but she thought he would do great. A lot of the rest was a blur. I was so tired, hungry (it was after 1 and I had not eaten), and relieved to hear that he was out. I went to get something to eat and let everyone know what was happening. Two hours later when I got back from picking up JSL and bringing him to be with NHL, I was able to see TechyDad. His coloring was bad and he looked miserable. He got up to walk and was dizzy and exhausted. When he got back, we changed his bandage under the nose and he went to sleep. They wanted to send him home, but it was just too much at that point. The nurses were fantastic and helped to go over everything with me, got him popsicles to help with his sore throat, and at about 5:30 TechyDad felt strong enough to go home. If I am MIA the next few days, I am off taking care of all of the boys. It’s odd how you can take your spouse for granted until a time like this. TechyDad cooks for us and does a lot of the bedtime/shower routine with the kids. A huge thank you to everyone who helped out yesterday and kept TechyDad in their thoughts and prayers. It was a relief knowing the boys were happy and safe so they didn’t have to worry about things during the surgery. A special thank you to Nana for making sure we all had dinner last night so we could get some rest. 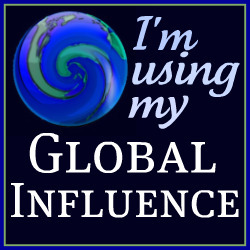 Thirteen years ago, I woke up and knew my world would be changing. After months of planning, it was time to get ready to be the bride on our magical wedding day. 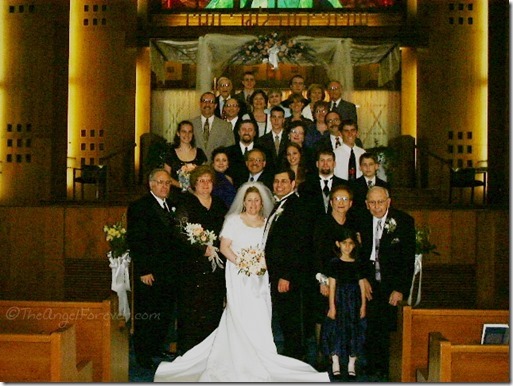 I still remember walking into our synagogue early that afternoon to prepare for photos and our ceremony under the chuppah. Most of the day was a blur, except that I can still see the smile on TechyDad’s face. Yes, thirteen years later I can still picture my husband’s face when he saw me walk out in my dress for the first time. 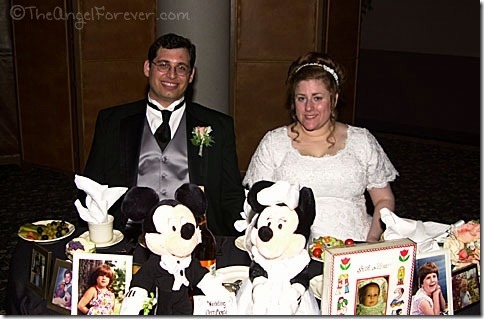 There are days when I wonder where the time has gone because it seems like only yesterday when we were going to different florists, checking out caterers, and planning our magical Walt Disney World Honeymoon. While there are times that I miss those more simple days when we were newlyweds with few cares in the world, I would not change a thing. 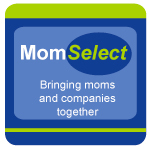 We have had our adventures together and we have two beautiful boys who are growing up before our eyes. 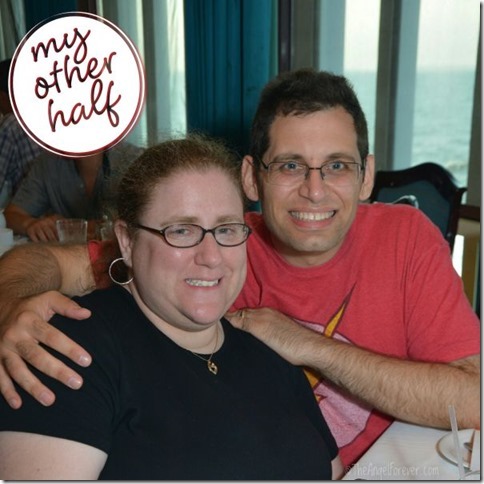 What I did realize when going to write this post is that we need to take more photos of US. Perhaps we make it a project for the boys. The two of us need to get out from behind the camera and document being a couple, not just TheAngelForever/Mom and TechyDad/Dad. 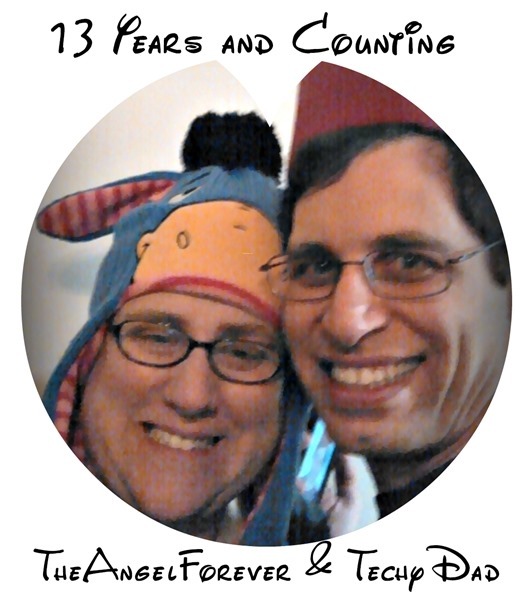 JL, thank you for accepting my Eeyore moments trying to make me willfully say Allons-y a bit more. 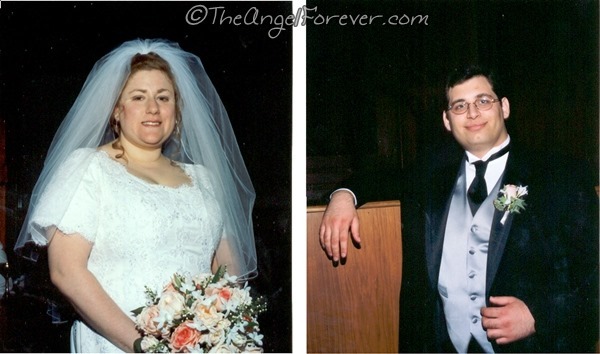 I love you with all of my heart and look forward to adding more memories to our 13 years of being husband and wife. While I do not typically post anything new on Saturday these days, today I had to make an exception to the rule. You see, today is TechyDad’s birthday. While our plans are still not entirely set, I do know that the boys and I are going to make sure we have fun celebrating his special day. We will begin by officially giving him his present. The present is not a surprise. For quite some time, TechyDad has said that he really wanted a sonic screwdriver. In the time before I started Doctor Who with him, I really had no clue why this meant so much to my geeky husband. Then, as I started and quickly finished watching the new Doctor Who seasons with him, I started to get it. While the little toys that he had were fun, a true Doctor Who fan must really have their own sonic screwdriver. Simply knitting one for him was just not going to cut it. I can make those for the boys. 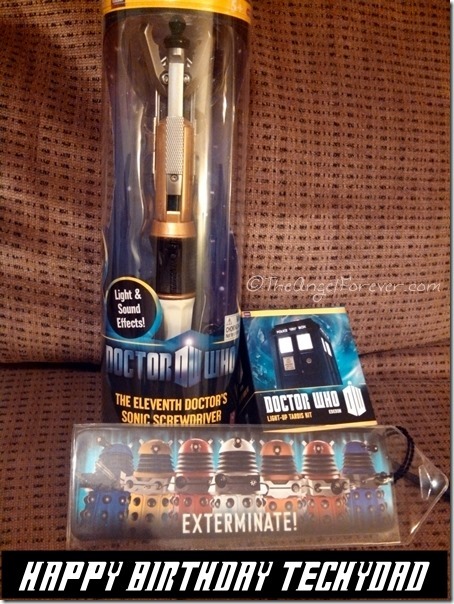 I finally figured I would surprise him buy purchasing a sonic screwdriver. Then, as I was talking to a friend, she asked me which Doctor was his favorite. While I was pretty sure he was a big fan of David Tennant as the Tenth Doctor, I wanted to make sure with such an important geeky purchase. So I casually asked TechyDad which was his favorite doctor. His exact comment back to me: “Well, I like the Tenth Doctor the most, BUT I like Matt Smith’s sonic screwdriver more.” Ooops, so I needed the sonic screwdriver for the Eleventh Doctor! Guess it was pretty obvious, but I had no real choice since I waited too close to his birthday. We all went out the other night and picked up the sonic screwdriver above. 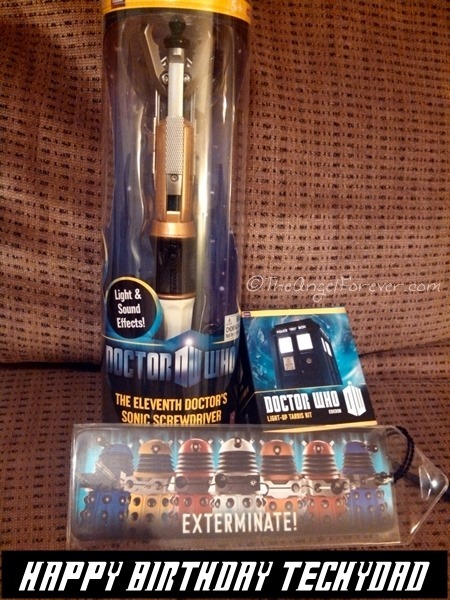 In addition to this, TechyDad asked to get the light-up TARDIS for his desk, and I had to get the Dalek bookmark. Daleks are special in our house because they are what intrigued that boys with the show enough to finally start watching it. 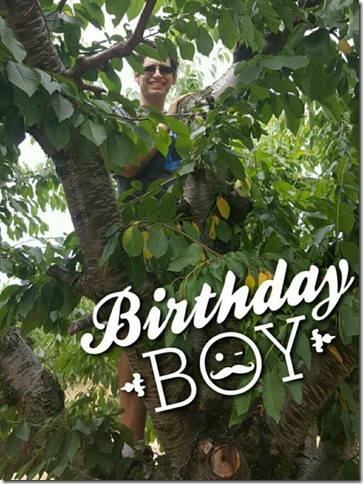 So to TechyDad, I hope you have a wonderful birthday and we make many family memories celebrating your special day. I am sure your Doctor Who collection will continue to grow once we find a few more of the items that the boys and I wanted to get you. Thank you for being patient and letting me slowly become a Whovian who now loves to crack jokes all about Doctor Who and the crazy stories within the show. Twelve years ago today, I married JL who later became TechyDad. On that beautiful June day, we were with our family and friends at the synagogue I grew up in. We were so young and naïve at the time. All of the preparations for this day were finally real and we could celebrate the beginning of our life together. It’s funny looking back at the photos from our wedding. While I remember some of the things that took place, many do not ring a bell because we were so into the moment meeting and greeting everyone that came to be with us. I would not change much, but would probably stop to step back and watch a bit more. Of course, my mind was a bit distracted. TechyDad and I were so excited about our honeymoon. 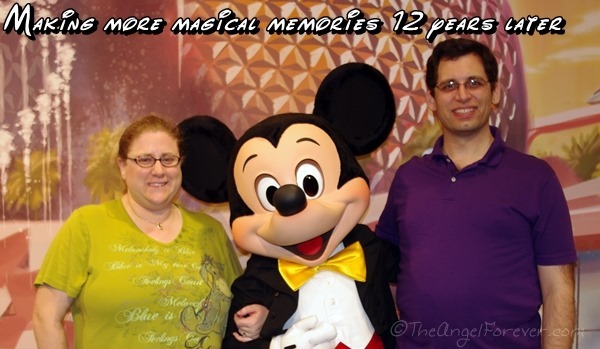 We saved to go on an amazing Walt Disney World trip, his first ever. JL, thank you for always being there the last 12+ years. No matter what happens, I know you are in my corner and cheering me on. I can not wait to see where the next years take us and what new magical moments will come our way.